The KISD Project Show is where the members that are raising animals go to compete against other students in Klein ISD. 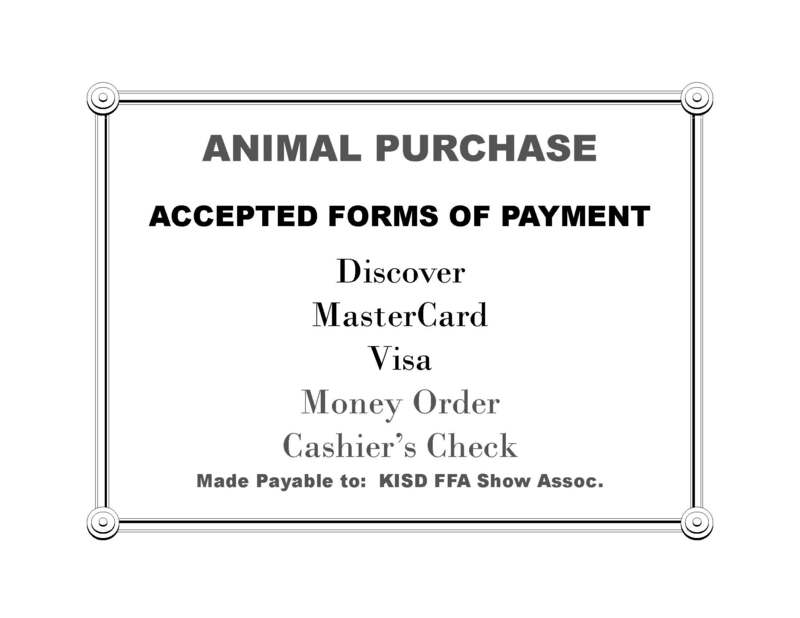 Students will properly show their animal or animals in front of a judge who will decide if he/she goes to Auction or Tent Sale. The dates for the 2018 show are February 8th and 9th, and Auction the 10th. Mandatory KISD Show set-up will be Monday February 5th, and mandatory clean-up will be Sunday February 11th.